This is an early morning shot of the Mini train with the Sofie caboose. I bet that train is heading to breakfast…. Mom loves it when we pets get lined up too! it’s the cutes train ever… or life would be so broing without our furkids. have a super caturday! 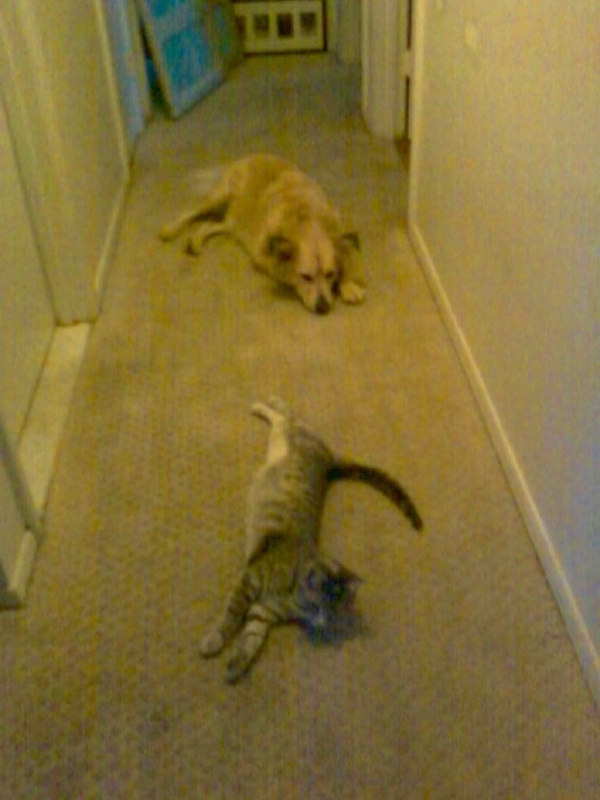 My cat Mary Jane has been hanging around the dogs to much sense her partner Molly went over rainbow bridge. Now she gives paw for a treat. You say paw and just like a dog she gives it!